Pasta is not only a staple for Italians, but have been a growing favourite amongst Singaporeans in recent years. 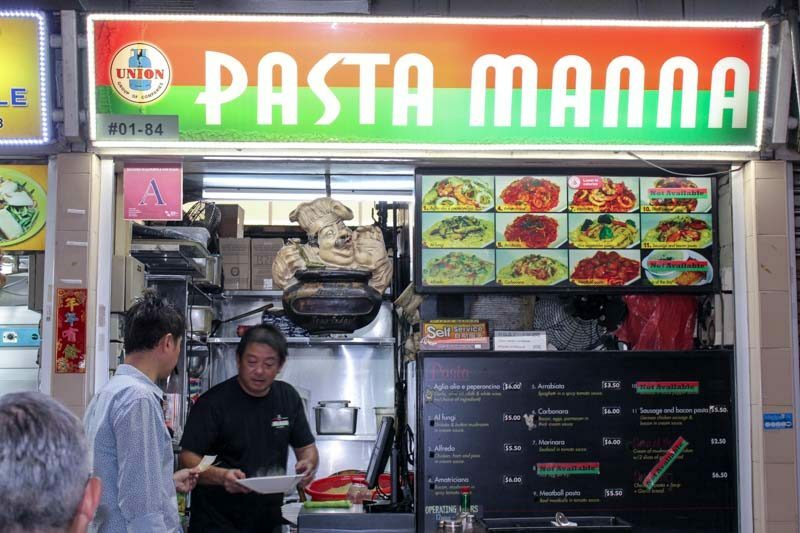 With the increase in demand, many places now offer pasta options, whether it is restaurants, cafes or hawker stalls. Typically, a plate of pasta will set you back about S$20 – S$28. With that in mind, I decided to sieve out 10 pasta places in Singapore under S$10 so good you won’t believe it. 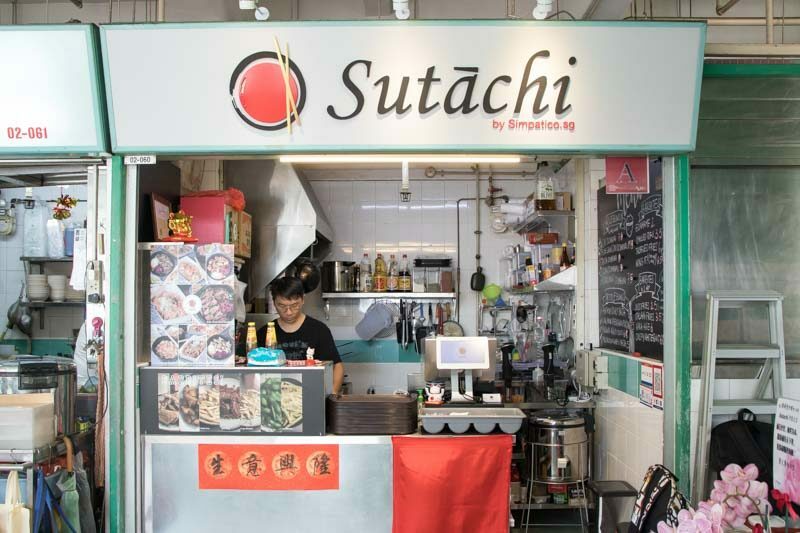 Located at Chinatown Complex Food Centre, Sutāchi — which means ‘starch’ in Japanese — serves affordable Japanese and Italian fusion food at restaurant standards. 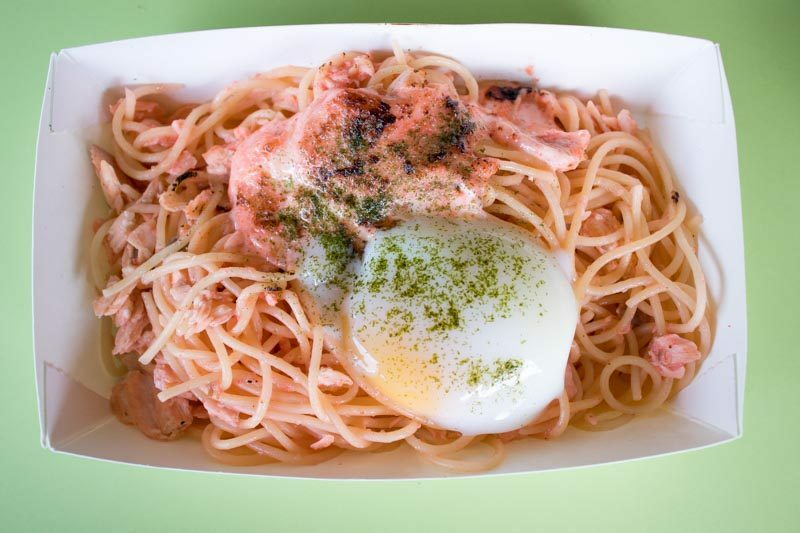 We went straight for the Salmon Mentaiko Pasta (S$7.50), a great dish to get your mentaiko fix. The ratio of salmon to pasta was a dream, with a generous serving of salmon that was topped off with blow-torched mentaiko. The addition of the perfectly gooey onsen egg gave an additional touch of creaminess. If rich sauces are your thing, this would definitely satisfy your cravings. 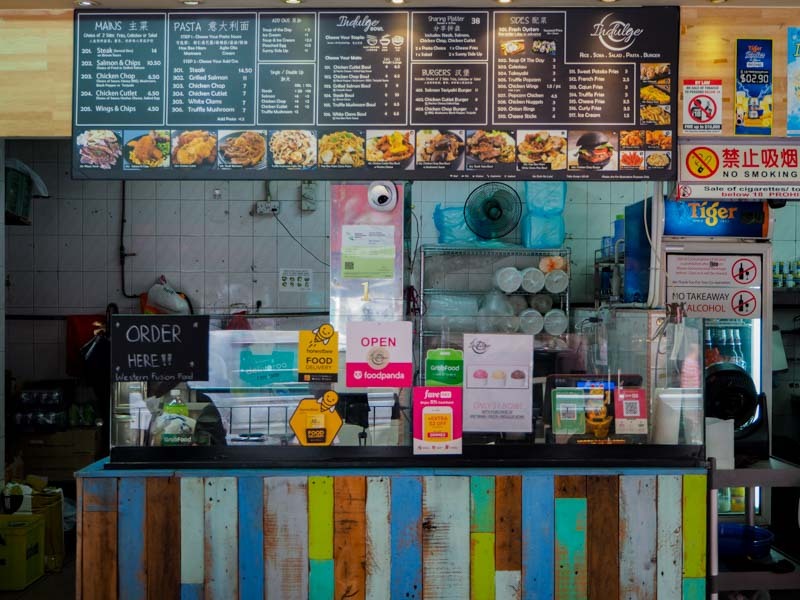 Located in a coffee shop at Upper Thomson Road amidst all the populated cafes, Indulge combines Japanese and Western food concepts. They serve very reasonably priced customizable bowls, with six different proteins and four pasta sauces to choose from. We got the Hae Bee Hiam White Clams Pasta (S$7) as it was something different from the usual pasta choices. Whilst it was a tad spicy, the dried prawns gave the dish a nice textural contrast. My only gripe was that the hae bee flavour was very distinct, which overshadowed the taste of the clams. 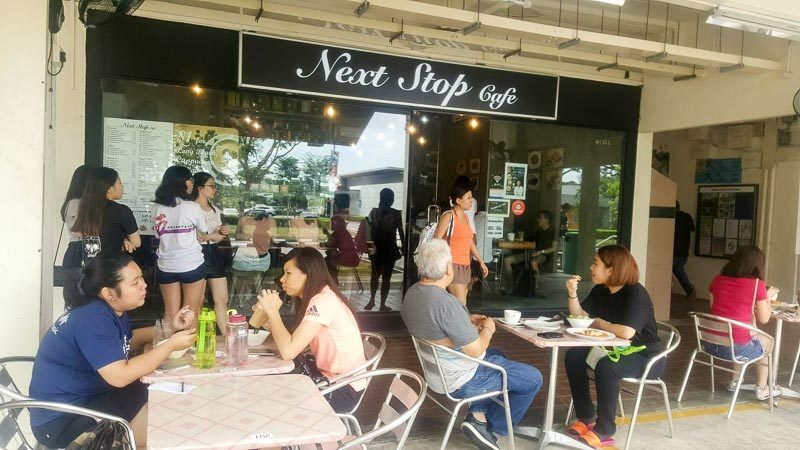 Here’s one for all you Northies, Next Stop Cafe is conveniently located opposite Jurong East Swimming Complex. Prices are more than reasonable here, with no GST or service charge and free WiFi. Students can also get an additional discount, which is always a plus point. Despite the wallet-friendly prices with most of the pasta under S$10, they do not compromise on quality. You’ll be pleased to know that the owner makes the sauces from scratch. The Mushroom Aglio Olio (S$6.50) was simple but satisfying. The pasta was cooked al dente, with a tinge of spice to elevate the flavour of the dish. For this price point, I found it difficult to find any fault with this dish. Here’s another one for the Northies. 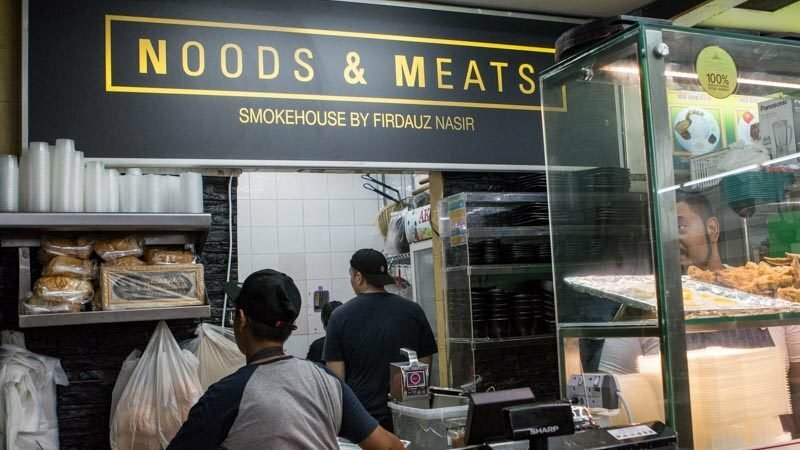 Owner and chef Firdauz Nasir took up the challenge to serve halal smoked meats in Yishun by setting up Noods & Meats. 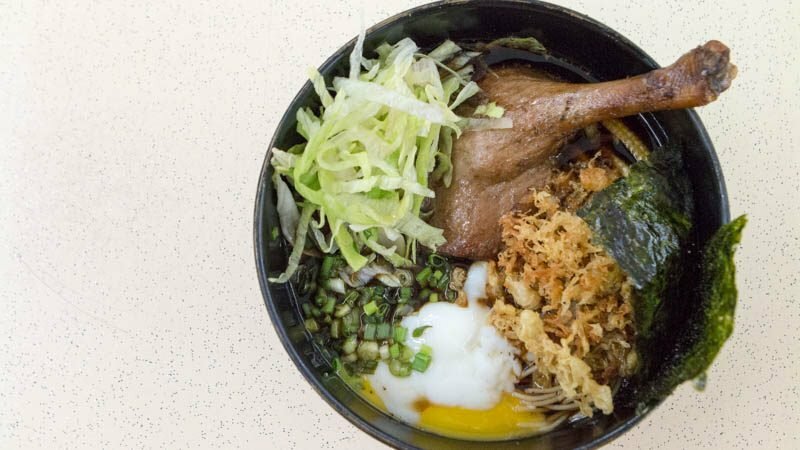 The Bebek Nood (S$9.90) differs slightly from the typical pasta dishes as it comes with an Asian twist. It consists of roasted duck confit with truffle-scented capellini, sous vide egg, homemade sambal and shredded lettuce. 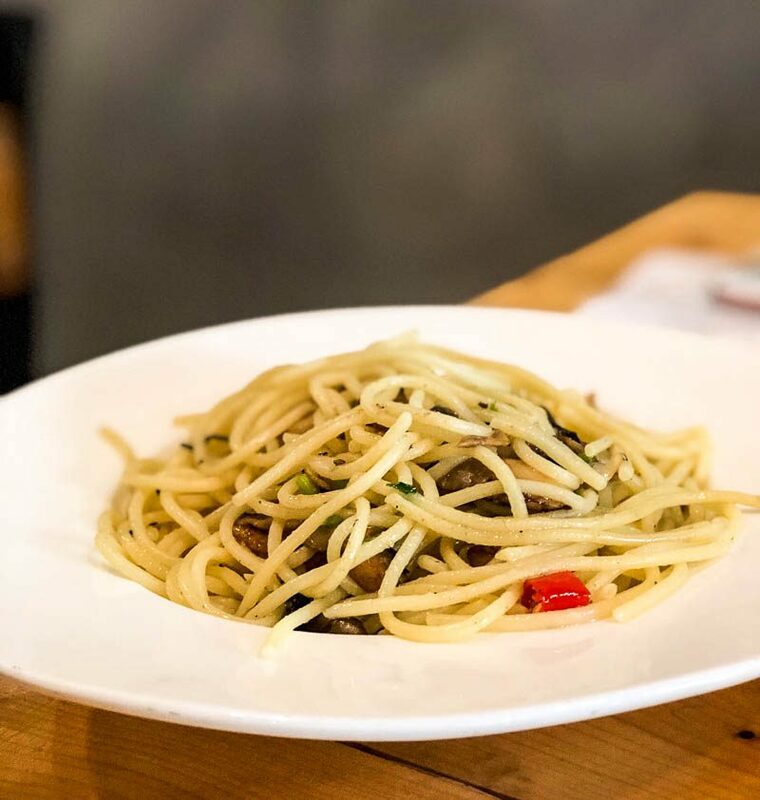 The noodles are handmade, with the capellini dough itself drizzled with truffle oil, so you can imagine how the entire dish was distinctly scented with the truffle aroma. The duck itself was tender and not too gamey which we appreciated. 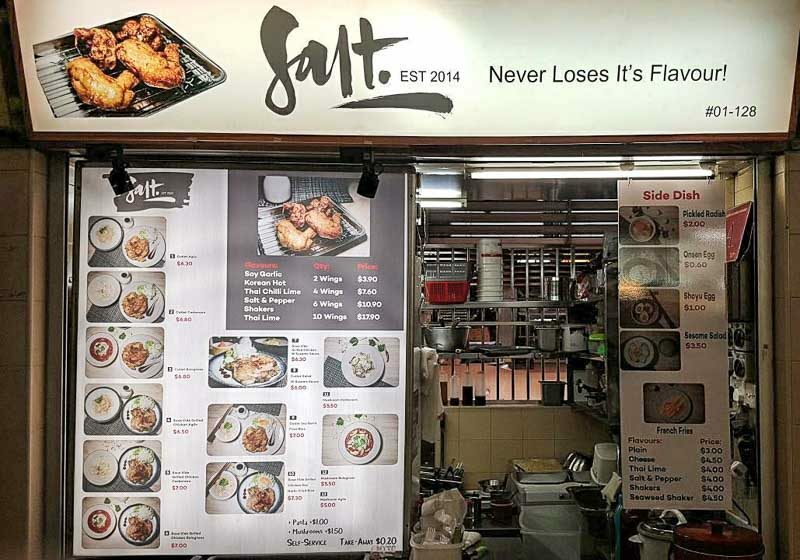 Old Airport Road Food Centre is one of those places where people tend to frequent regularly due to the variety of delicious food options, with Salt being one of the stalls. 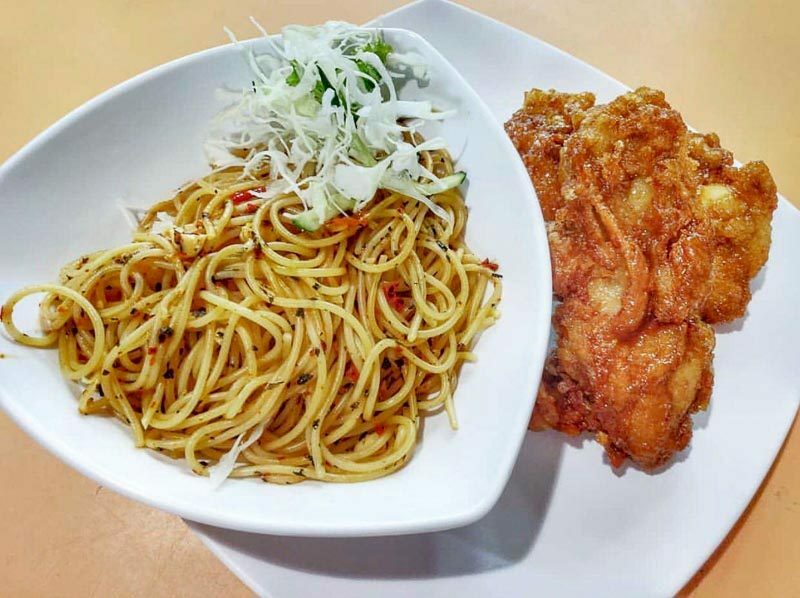 It is known for their fried and grilled chicken that is served with pasta (aglio olio, bolognese and carbonara), or garlic fried rice. We got the Cutlet Aglio (S$6.30) and were impressed by the portion. The cutlet was perfectly fried, with a satisfying crunch as we sliced it open, and the meat within was tender and juicy. The pasta was al dente with just the right amount of spice. With so many stalls at Old Airport Road Food Centre, I’m always spoilt for choice with numerous options. Pasta Manna is one of the places I hold close to my heart as it’s my go-to place for aglio olio. 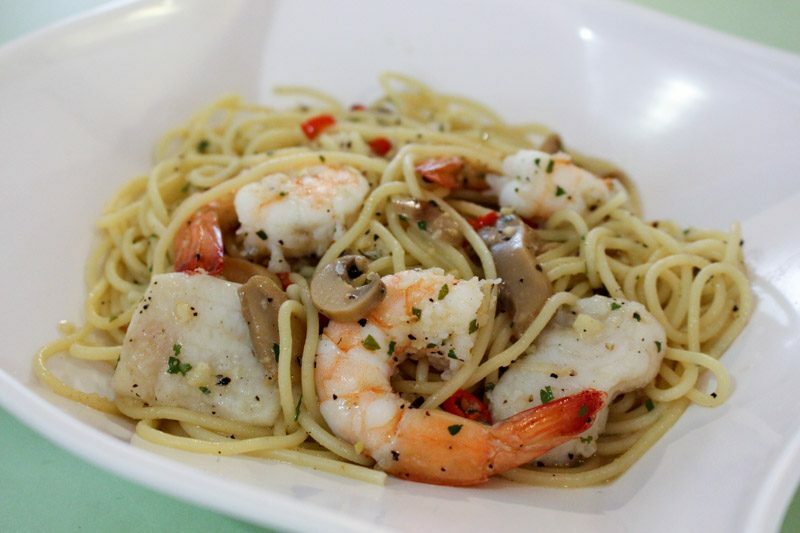 I always go for the Seafood Aglio Olio (S$6), which consists of tender fish chunks, crunchy prawns and sliced mushrooms. 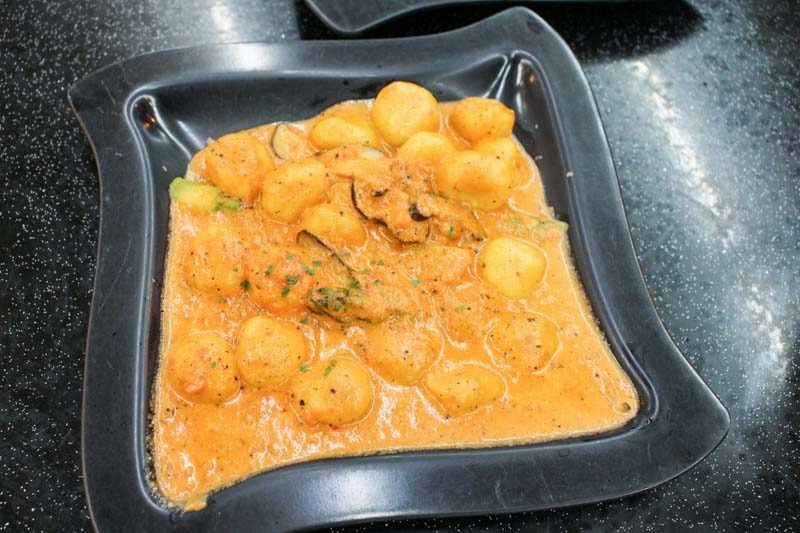 I love the freshness of the seafood and the addition of white wine enhances the taste of the dish as each strand is well-coated with the sauce. We all have those days where we are rushing everywhere, with barely any time to eat. 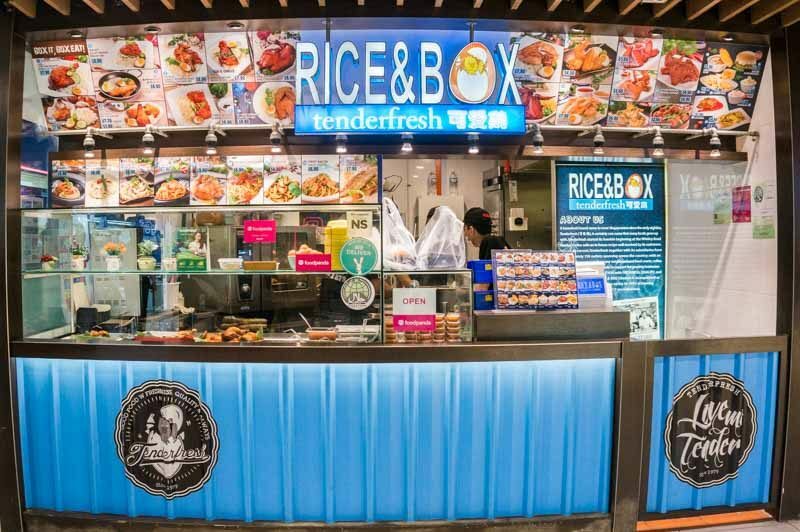 Rice & Box solves that problem for you as they serve piping hot and fresh food in a takeaway box at White Sands. The Laksa Prawn (S$7.90) was recommended and was generously served with five large prawns. The laksa sauce was very fragrant, with distinct coconut notes weaving through the spice. It was delightful, especially after you’ve had a long day and want some comfort food. CBD workers, you are not left out of this list! 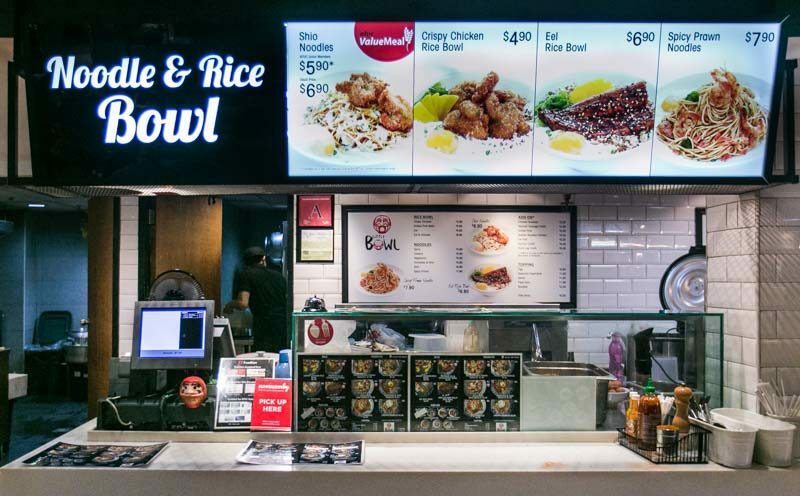 Located in the basement of Clifford Centre, Little Bowls is one of the stalls in NTUC Foodfare’s Food Emporium. The Value Meal Shio Noodles (S$6.90) is a hearty option for those who are fans of cream-based pasta. The sauce is a combination of kelp, marinated crab meat and shiitake mushroom, which created a burst of rich and savoury flavours. It is paired with crispy chicken pieces and a gooey onsen egg to tie it all in. 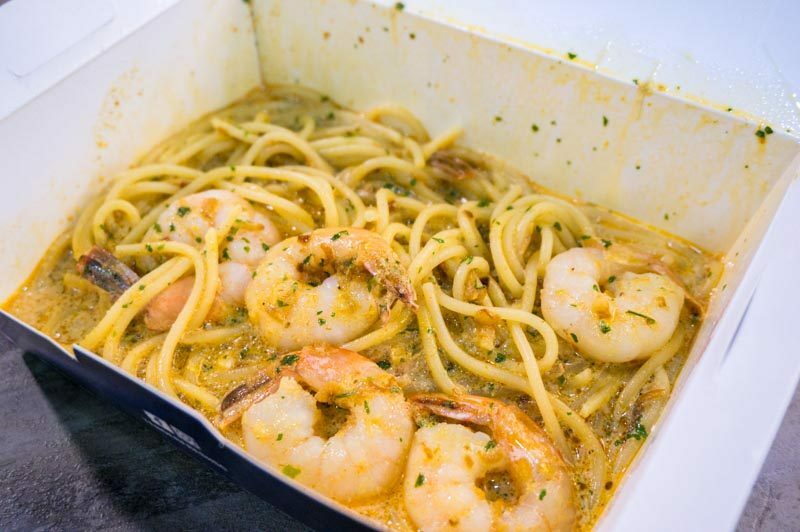 For those who are not fans of cream-based pasta, the Spicy Prawn Noodles (S$7.90) is a delicious alternative tossed in chilli-infused olive oil and topped off with sakura ebi. 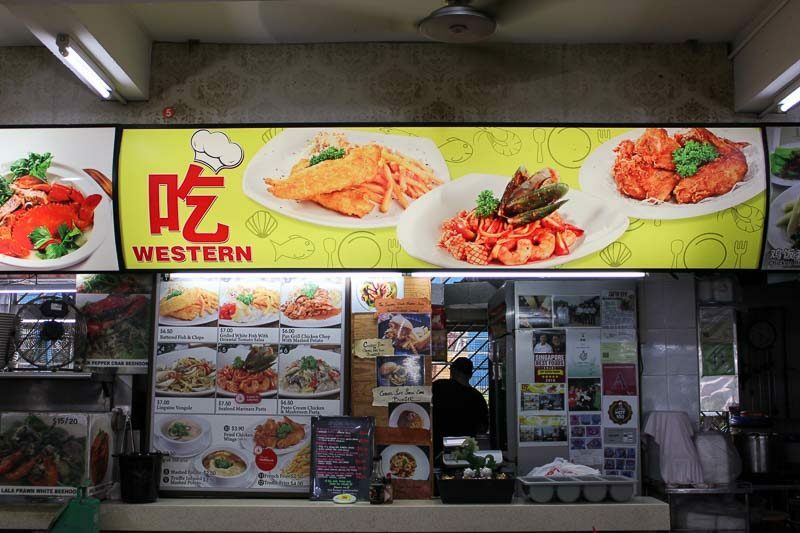 Moving on to the area I am most familiar with, 吃 Western is located at Toa Payoh North. What attracted me to dine in here the first time was the brightly-coloured purple coleslaw served with their meat dishes. 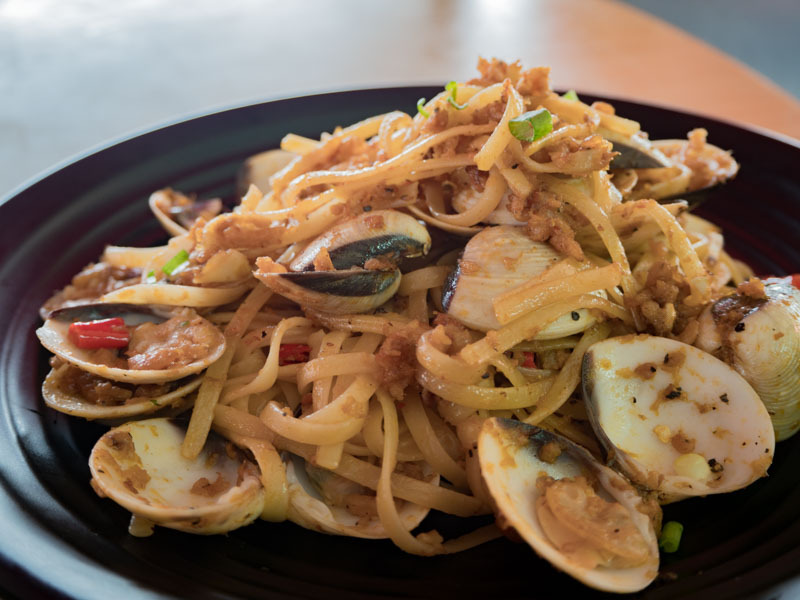 I returned to try the Seafood Tom Yam Cream Pasta (S$9.90) as I was impressed with the other dishes from previous visits. The sauce was thick yet not too overwhelming. It was sweet and tangy, which helped to open my appetite. 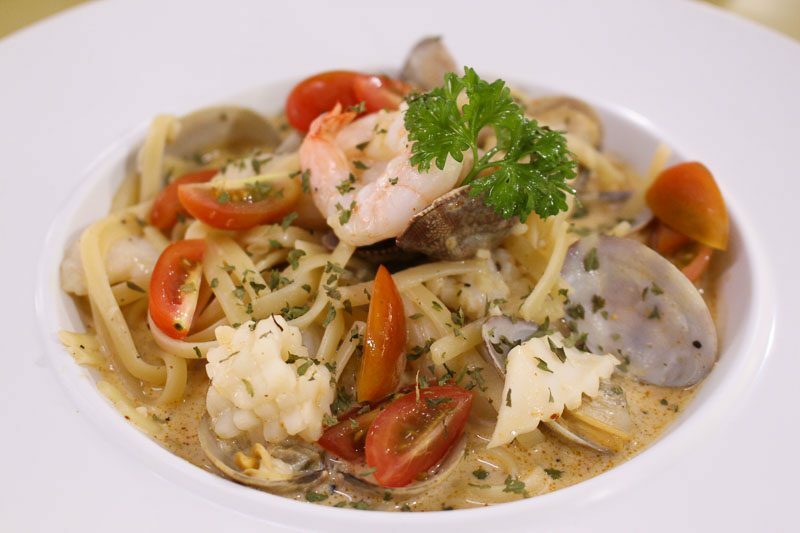 The pasta and seafood were cooked perfectly as well, maintaining their firmness. Last but definitely not least is Il Piccolo Pizzeria. Located at Toa Payoh Central, it’s only about a five-minute walk from the MRT. It offers some unique options that are not usually found at coffee shops, and I got the Gnocchi Di Patate (S$7) as I was intrigued that these little dough dumplings were available here. The moment I had my first spoonful, I knew I made the right choice. The potato dumplings were plump and pillowy soft, which made them so easy to eat. The creamy tomato sauce gave great flavour, but it was not surfeiting. Accompanied with asparagus and mushroom, this makes for a hearty meal. 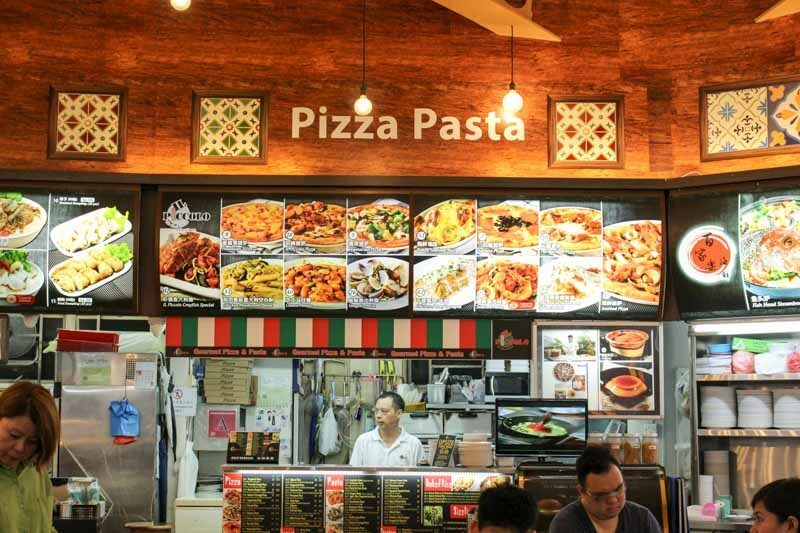 Now, you have a list of places to visit islandwide whenever you have any pasta cravings without worrying about breaking the bank! Let us know where is your favourite haunt for affordable pasta.